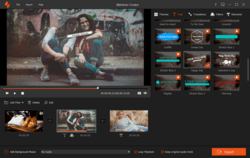 Aiseesoft Slideshow Creator 1.0.10 was available as a giveaway on September 14, 2018! 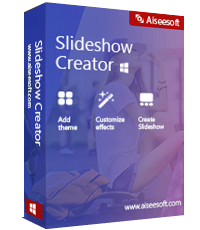 How would you improve Aiseesoft Slideshow Creator 1.0.10? Now get it with 50% OFF Coupon: AISEYVEC for all GOTD users. Aiseesoft Video Converter Ultimate is the most professional multifunctional video utility. It converts video to other format (MP4, MOV, AVI, MKV, FLV, etc.). It also supports converting video resolution among 4K, HD and SD to meet your needs. This program gives away to you for downloading hot videos from video-shared websites (YouTube, Yahoo, Facebook, etc.). Note: In the latest upgrade, it supports external subtitle adding and editing, and extra audio track(s) adding and deleting. Aiseesoft Screen Recorder is an easy-to-use screen recorder. It allows you to record online video and audio with high quality. 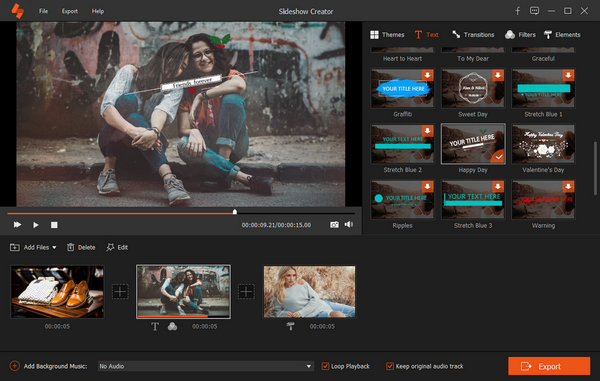 You can capture streaming videos, live game video, online conference, video tutorial, and more for playback or sharing online. You are capable of editing video while recording to share video directly. Moreover, you are able to select window for recording, and leave it to make other operations with your computer. Additionally, you will not miss the snapshot feature to use it as the image capture software. Aiseesoft Burnova is regarded as the high-reputable DVD creating software by the majority of users. It cannot only create the video file from your local disk to DVD disc/folder/ISO file, but also download and burn online video from YouTube, Vimeo, Facebook, etc. to DVD with simple clicks. Menu editing features enables you to change the background music, picture, add subtitle and audio track, and move the buttons to customize your special menu templates. 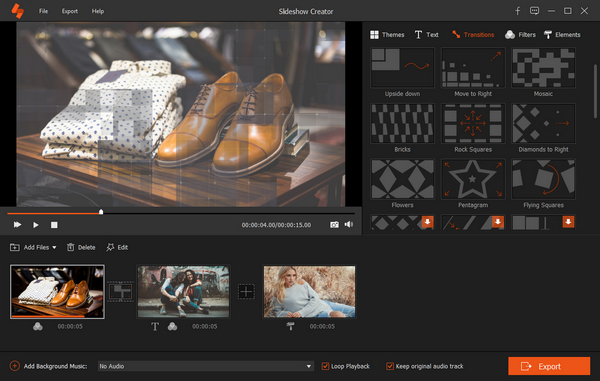 Video editing will rotate, flip, crop, watermark and clip video file. The newly effect function lets you add the filter, blur, sharpen, gray, sketch, canvas, mirror, sculpture, effects to change your video style before making DVD. 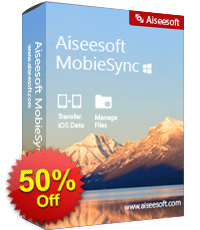 Aiseesoft MobieSync is the iOS data helper to transfer, convert and manager photos, videos, contacts, and others easily. It works as the data transfer to copy files from/to iOS device to/from computer, and between iOS devices. Moreover, it lets you convert HEIC images from your iPhone to be viewed on more devices that are playable conveniently. You can even customize ringtone for your iOS device without purchasing from iTunes Store conveniently. Get the all-in-one data transfer, HEIC converter and ringtone maker, you can play your iOS device at ease. Aiseesoft studio, I am getting an error that says, "The version of this file is not compatible with the version of Windows you're running. Check your computer's system information to see whether you need an x86 (32-bit) or x64 (64-bit) version of the program, and then contact the software publisher." I believe this software has installed in my PC but doesn't seem to run. WHY? Aiseesoft studio, I am getting an error that says, "The version of this file is not compatible with the version of Windows you're running. Check your computer's system information to see whether you need an x86 (32-bit) or x64 (64-bit) version of the program, and then contact the software publisher." I believe this software has installed in my PC but doesn't seem to run. WHY? Is the license a 12 month license with or without free updates included or is it a proper giveaway license of unlimited duration and no automatic entitlement to free updates? If it is a rental plan license giveaway what happens to the functionality after the 12 month countdown expires? does it cripple itself until purchassed or just lose entitlment to further free updates. Enquiring minds and reasonable people want to know! Aiseesoft studio, please respond to comment #2 https://www.giveawayoftheday.com/aiseesoft-slideshow-creator/#comment-600221 Is the license a 12 month license with or without free updates included or is it a proper giveaway license of unlimited duration and no automatic entitlement to free updates? If it is a rental plan license giveaway what happens to the functionality after the 12 month countdown expires? does it cripple itself until purchassed or just lose entitlment to further free updates. Enquiring minds and reasonable people want to know! 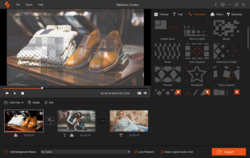 Aiseesoft studio, Great program but MUST have a cross-fade to be really top drawer! Great program but MUST have a cross-fade to be really top drawer! This giveaway program is no more than a thorough action from Aiseesoft Studio to promote their other products with a percentage discount. As far as I have read the comments, Aiseesoft Slideshow Creator 1.0.10 is no more than a ß-version. It's a full version, not an annual license. It's a full version, not an annual license. Looks very easy to use. Installed and registered on Win10 64 bit with no problem. That's the best thing I can say about it. Its missing the most basic function of a creative tool, a way to save a project and return to it later. The most basic transition, a cross fade, does not work. It gets to the end of one picture, suddenly goes black, then fades up the next picture. The three possible settings for the transition all do exactly the same thing. It tried a few other transitions. Several of them crashed, and since you can't save the project, I had to start again from scratch. Sorry, Aiseesoft, I usually like your software, but this one is not ready for real use yet. Installed and registered on Win10 64 bit with no problem. That's the best thing I can say about it. Its missing the most basic function of a creative tool, a way to save a project and return to it later. The most basic transition, a cross fade, does not work. It gets to the end of one picture, suddenly goes black, then fades up the next picture. The three possible settings for the transition all do exactly the same thing. It tried a few other transitions. Several of them crashed, and since you can't save the project, I had to start again from scratch. Sorry, Aiseesoft, I usually like your software, but this one is not ready for real use yet. Uninstalled. I installed and tried two different email addresses to get the validation code. Still no email after two hours. Not in spam or anyplace I can find. Sent a test email to both of the addresses just to verify they were receiving mail, and they are. Just not the validation email. Really the most simple slideshow creator. If you have a lot of pictures it will take a lot of time to add motions and transitions, as opposed to much better creators that let you add random effects and transitions. 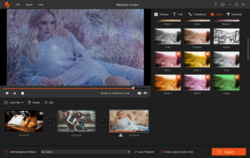 The VDSC video editor is free and does SO much more than this. The $39.99 price on their website is wildly unrealistic. How do I apply a transition to all pictures in the slideshow? Who really sits around making these stupid things and expects people to watch them...? Great product. I love the fact that I can use video. All the slideshows I use will only work with pictures and they don't offer filters. Nice effects and themes. I need to see if additional themes, transitions and filters can be purchased. The slideshow exports out in different formats and sizes. Nice. Will not load on my computer. It says not the right Windows version. I am using Win 7 (32) bit. Lawrence Rodriguez, please re-read the description above. It includes the following: "Note: This software is compatible with Windows computer on 64 bits." installed but wont open i get: no audio device found? I will un-install it again. Same issue here! I will un-install it again. I hope Aiseesoft support personnel are reading comments here and will soon respond. What formats are available for the finished product? warpwiz, MP4, FLV, WMV, MTS, AVI, MOV are video files. MP3, AIFF, FLAC, AAC, AC3, WAV are audio files. The choice is yours. warpwiz, MP4, FLV, WMV, MTS, AVI, MOV are video files. MP3, AIFF, FLAC, AAC, AC3, WAV are audio files. The choice is yours. Does it do the Ken Burns scan effect ? Harry Mang, Yes, but only if Ken Burns is operating the software. I took a quick look at this program. The problem I have with it is that there is no cross fade option (a transition that is used a lot). There is a fade transition but this caused that screen to go black then fade up to the next photo. There did seem to be three option to chose from for the Fade Transition and I tried to chose what seemed to be a cross fade but this did not work. The example shows a zooming in on the photos but I can't see any option to create a zoom. I took a quick look at this program. The problem I have with it is that there is no cross fade option (a transition that is used a lot). There is a fade transition but this caused that screen to go black then fade up to the next photo. There did seem to be three option to chose from for the Fade Transition and I tried to chose what seemed to be a cross fade but this did not work. The example shows a zooming in on the photos but I can't see any option to create a zoom. 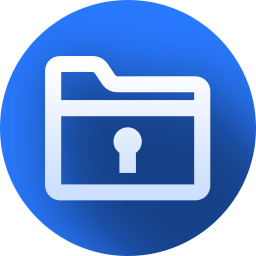 The File menu has two options: Add File or Exit. I do not understand why there is not an option to save a profile of the slideshow as it currently stands. That way, you could go back in to tweak things. 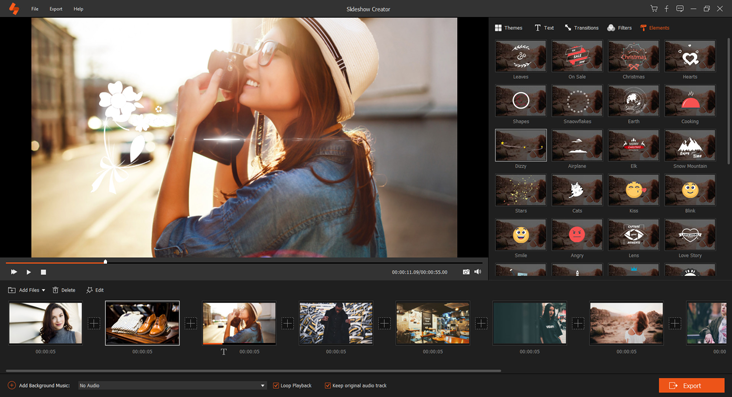 If you intend to create slideshows with this tool,, and need to stop for whatever reason, you will need to start all over. Aside from that issue, the program looks nice overall. Please tell me more about the one-year license. Does the program die on me after one year? drneuro, where do you read there is a one-year license for this giveaway? It's not stated in the content above or in the Readme file. Russ, probably because when you go to sign up for the registration code you get a message that says ................Please enter your Name and E-mail address and click on the "Register" button. In a few minutes, you will receive an email with an annual license. Your e-mail address will only be used to accept the registration code, and will not be shared or stored for any other purposes. R2D2, It would be nice if the publisher would provide an explanation.